He was the man behind creating Di Bella Coffee in 2002. 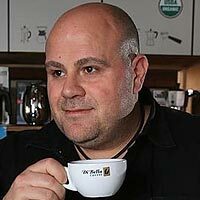 Phillip Di Bella, Chairman, Di Bella Coffee carried a mission to give an ultimate coffee experience to its customers. During his recent India visit, he spoke to TFW’s Ekta Sharma Verma on Di Bella’s further plan of action in India and the challenges. How does it feel to re-launch India operations? Technically we had all our flagship stores operational during the transition phase. We have basically moved the brand ownership from the previous owners to the new owners. Now, who are your India Master franchisees? Rahul Leekha and Asheesh Akleker are the India Master Franchisees. What are Di Bella’s strategies now in terms of India franchise expansion in 2014-15? Currently, we have ten outlets in India and plan to open 50 stores in Mumbai thus creating a strong showcase of our strengths and operational capabilities. We are also opening a 5000 sq. ft training centre in Mumbai. Our intention is to establish a world class back-end support systems so we can service all our franchisees pan-India. We aim to gather customer loyalty and promote our business mainly through the unique selling propositions Di Bella Coffee offers. We have observed that a customer will turn into a loyalist once he connects emotionally with a brand. With so many international brands existing, is India a potential market for your business? Today, Di Bella Coffee has over 1200 retail and wholesale outlets globally (Australia, New Zealand, China & India), which serve more than 2.4 Million cups of coffee per week. We continue to develop the market both nationally and internationally. We plan to create a niche market for coffee lovers by serving 100 per cent premium imported coffee. We pay 108 per cent import duty on the coffee so there’s no compromise on quality. There is surely potential for our business as the consumer is very aspirational and is willing to move to brands providing better quality and unparalleled service. Can you talk about the challenges faced by a franchisee in this trade? Unfortunately I have heard stories of various brands not being totally transparent with their franchisees. I believe for a franchise model to be successful, the franchisee should be motivated in the business. We at Di Bella Coffee support our franchisees by providing them freedom to purchase equipments, peripherals etc by themselves as long as it meets the brands standard guidelines by not keeping any monetary agenda apart from the royalties it builds trust and confidence in our franchisees. What are your expansion plans and target cities? Which city will Di Bella first enter now? In Mumbai, we plan to open 50 stores and simultaneously move to Gujarat, Karnataka and NCR. 3 Challenges Faced by the Telecom Industry..
Meet Viren Sharma, the “DogMan of India”..
Beauty Industry Trends of 2019..
"Patience and Dedication is Our Mantra"..
5 Easiest Ways to Make Money Online..